The Coding4Fun Kinect Service allows you to stream Kinect color, depth, skeleton, and audio from one PC to another PC or a Windows Phone via sockets. This new release now includes Windows Runtime Components written in C++ which target x86, x64 and ARM. 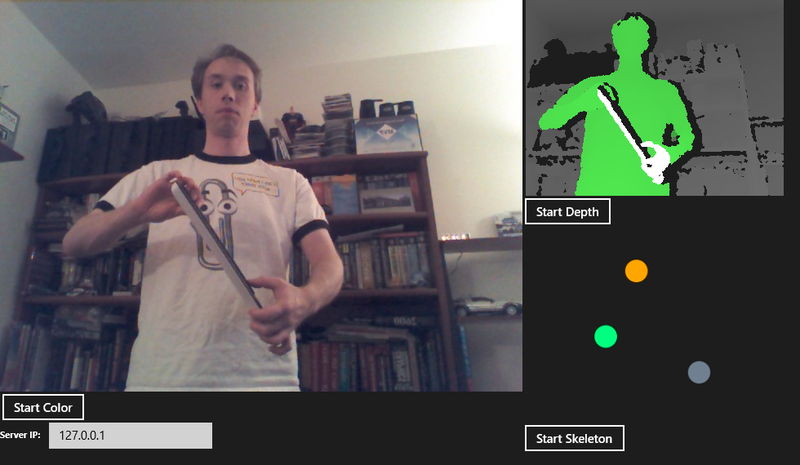 Now you can stream Kinect data to a Windows Store app! For //build/ 2012, us Coding4Fun folks wanted to showcase what Windows 8 can offer developers. There are a lot of projects showing off great things like contracts and Live Tiles, but we wanted to show off some of the lesser known features. This project focuses on one of those: stereoscopic 3D with DirectX 11.1. Imagine ridiculously over-engineered 3D pong, and that’s Maelstrom! 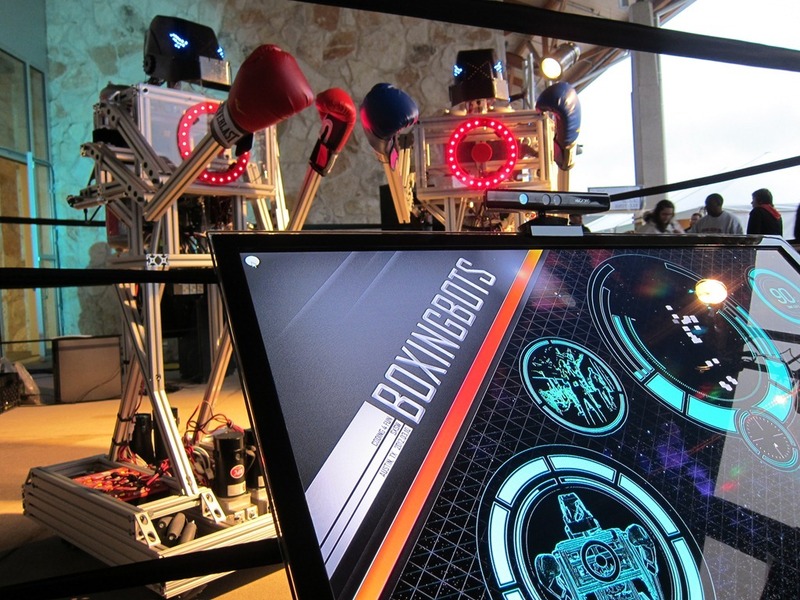 I'm off to TechEd North America later this week where we'll be showing off the Project Detroit car and our BoxingBots project previously demonstrated at SXSW in March. This same session will be given at TechEd Europe in two weeks, with Clint Rutkas playing the part of me. I will not be at the Europe conference. At long last I have accepted a full-time position at Microsoft, working on the Channel 9 team, mainly doing Coding4Fun stuffs. I'll be telecommuting from NY as I have been these past 8 years. It's hard for me to believe that I've been doing Coding4Fun articles and projects for the team since 2006, but I'm excited that I now get to do it full-time. Also joining the team is master UX-man Rick Barraza. He brings a pile of amazing talent and skill that will really allow us to create some fantastic projects. And, of course, we're joining the existing team of Dan Fernandez and Clint Rutkas, with Greg Duncan heading up the Coding4Fun blog and Kinect Project blog. Also note that Coding4Fun is looking for a junior developer/program manager. So, if you want to join the team, now's your chance! 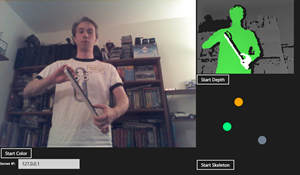 Kinect for Windows SDK is here! Hooray! I can finally talk about this! As I've alluded to previously, I had a hand (one of many) in the managed portion of the SDK and what was originally shown at MIX. Since then the SDK has changed a bit but it's finally ready to go! You definitely want to download this one when you get started. This toolkit contains a variety of extension methods and controls to make using the Kinect for Windows SDK even easier to use. Some of my code appears in this one. It's almost time for another MIX conference! Once again I'll be there with the Coding4Fun crew showing off some spiffy new projects for attendees to play around with, along with a few other surprises. I'll also be taking part in John Papa's Open Source Fest on Monday evening, demonstrating WiimoteLib and my MJPEG Decoder. Anyone else heading to the conference? If you are, be sure to stop by the Coding4Fun area in the Connect Lounge and say hello, and stop by the Open Source Fest on Monday night to take a look at over 50 great open source projects and vote for your favorites. I'd say I'd trade drinks for votes, but those are free, too. And finally, if anyone attending is working on a fun or interesting project and would like to do an interview for my Coding4Fun Show on Channel 9, please let me know. Almost anything goes, so I'd love to see what everyone out there is working on. Update: Slides and source for my sessions are posted over on my Events page. Have a look! Thanks to everyone that came to my sessions! Comments and critiques are welcome. I have been selected to speak at the Visual Studio Live! conference in Orlando. In addition to presenting two sessions at the conference, I’m also coordinating a special event on Tuesday night which we’re calling Devopalozza. I have created and will host a team Jeopardy! style game-show which will pit three teams of speakers and attendees against each other for fabulous prizes. I previously created the hardware and software for the Visual Studio Live Redmond conference, which turned into an article on Coding4Fun for those that might want to create a game-show at home or the office. A new version of TweeVo is finally available. This version allows the program to work once again now that Twitter has switched over to a mandatory OAuth/xAuth authentication scheme. Chris Miller deserves all the credit for this one for handling the implementation of the new security scheme with some sample code from Shannon Whitley. You can find downloads over on the original TweeVo page. Give it a try and let me know if you run into any issues making it go. Enjoy! I released version 1.1 of ThinkGearNET over at CodePlex last week. ThinkGearNET is a library that allows developers to easily use the Neurosky MindSet device with .NET. This version now matches Neurosky’s latest SDK and supports eye blink detection. Nothing else has changed. If anyone has used a prior version of the library, please give the new version a try and let me know if you have any problems. Thanks! Tonight I hosted the Devapalooza event for Visual Studio Live in Redmond. 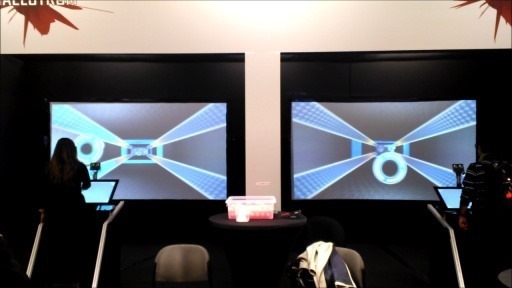 For the event, we played a Jeopardy-like game using software and hardware I created. You can find an article on how the software was created, how to build the hardware, and full source/binary downloads over at Coding4Fun and CodePlex This can be a fun way to host training at your office, or a way to liven up a user group. A huge thanks to Dan Waters and Clemens Vasters from Microsoft, VSLive speakers Rocky Lhotka, Deborah Kurata, and David Platt, and our three attendees who played the game. I think it was a great time. Hopefully you did too if you were in attendance. I have been selected to speak at this year’s VSLive! conference on the Microsoft Campus in Redmond. I’m very excited about this conference for a couple of reasons. First, it’s on campus, which will allow me to get together with my Coding4Fun/Channel 9 friends to do some planning. Secondly, VSLive! attendees are also allowed to spend some of their own cash at the Microsoft store. And finally, in addition to presenting two sessions at the conference, I’m also coordinating a special event on Wednesday night which we’re calling Devopalozza. I am creating a team Jeopardy! style game-show which will pit Microsoft Speakers against VSLive! Speakers against VSLive! Attendees. I’m currently creating both hardware and software to drive the game, which will later turn into an article on Coding4Fun for those that might want to create a game-show at home or the office. And, I’ll even be hosting the show at the event. The fifth episode of my Coding4Fun Show, is now up on Channel 9. In this episode of the Coding4Fun Show, I chat with Josh Blake about Natural User Interfaces and Multitouch programming with .NET. Josh has written a multitouch PowerPoint replacement called NaturalShow, which was demonstrated during his NUI session at MIX10. Watch and learn a bit about how this application was created as well as how you can write multitouch applications with WPF. And for even more multitouch programming goodness and more on NaturalShow, Josh is currently working on a book titled Multitouch on Windows, which can be purchased and read while he's writing it! You should see the video below if you have Silverlight installed, otherwise head over to the episode on Channel 9 to watch and download in a variety of formats for offline viewing. A big thanks to Josh for the interview! I’ve been working on a version 2.0 of WiimoteLib which reorganizes the library quite a bit to clean up the codebase. It’s not quite ready for release, and I don’t have an ETA currently, but I wanted to note some of the changes and get some feedback as I finish things up. My latest Coding4Fun article on the creation of my game MindBlaster is now available! This is a game I wrote using XNA Game Studio 3.1 that combines a Nintendo Wiimote and a Neurosky MindSet headset to create a game you play entirely with your head. If you were at PDC09 and stopped by the Coding4Fun area you may have seen it, or, if you’ll be at MIX10, please stop by the Coding4Fun area and see this and 3 or 4 more even better projects by Coding4Fun authors. MIX10, Coding4Fun Show, and You! But, more importantly, are you going to MIX10? Do you have a fun or interesting project you’d like to talk about? Let me know! I’m looking for people to interview for the Coding4Fun Show. I’m always interested in talking to people who want to chat about what they’re working on, even if it’s just a hobby or something that’s incomplete. That’s what Coding4Fun is all about! So please, if you’ll be at the MIX, have a few minutes to chat, and want to be the envy of your friends, contact me! TweeVo 1.2 has been released which now works with some modifications Twitter made to OAuth around 11/30. A huge thanks to Chris Miller and for doing the heavy lifting on this one and implementing the fix. The binary and source code are updated and can be found at the links below. Let me know if you run into any trouble with this new version. TweeVo 1.1 has been released which now works with Twitter’s mandatory OAuth authentication scheme. A huge thanks to Chris Miller, Conrad, and Mark Zaugg for testing the changes. The binary and source code are updated and can be found at the links below. Let me know if you run into any trouble with this new version. With our lab coats in hand, we brought Drinktendr, Mind Blaster, Laser graffiti, Wi-Fi Warthogs and finally Goblin XNA (augmented reality)! I know it’s short notice, but is there anyone in or around Orlando, FL working on a cool or interesting project that would like to have it shown off on Channel9 and Coding4Fun? I’ll be in town Thursday and Friday this week (12/10/09 and 12/11/09) and would love to interview you for an episode of the Coding4Fun Show. Contact me and let me know! Another PDC is over and I’m happily relaxing before work starts again on Monday. Lots of announcements, free laptops for attendees (not me, sadly), and plenty of time spent in our Coding4Fun area with my project. We even had the opportunity to take part in a live broadcast on Channel 9! The recording for that show should be available shortly. And what was my big project this year? A fun little game titled Mind Blaster, a space shoot ‘em up game played entirely with your head! PDC 2009, starting November 17th, is almost upon us and I’ll be heading out to the conference once again with my Coding4Fun/Channel 9 playmates. Anyone else heading out to the big show? We won’t be doing a Coding4Fun session like we did last year, but I will have another fun project for people to check out in the Coding4Fun area. I can’t give out details until after the show begins, but you can probably guess there is a Wiimote in the mix somewhere. And some spiffy new hardware. And maybe some XNA. Look for the details here after the show, and an article with full source code shortly thereafter. We also have 4 or 5 other developers with their latest and greatest projects, all of which are nothing short of incredible and put mine to shame. I will likely be doing a compendium Coding4Fun Show with all of this year’s project authors so those not in attendance can see their incredible work. The fourth episode of my Coding4Fun Show, the second show live from Las Vegas, is now up on Channel 9. In this episode I interview interview Jeremiah Morrill who has written WPF MediaKit, an amazing library to quickly build DirectShow and MediaFoundation media player controls in WPF. It's amazingly powerful and, as a developer, can be used with just a few lines of XAML. In fact, you can create a full-blown DVD player or webcam capture control in your application each with a single XAML tag! Learn all about this great project, how it was written, and how to use it in your own creations. A big thanks to Jeremiah for the interview! Anyone in Vegas for C4F Show Interview? Is there anyone in or around the Las Vegas area between September 7th and September 12th that would like to be my guest for an episode of the Coding4Fun Show? I’ll be in the area for the week and would love to do an in-person show with anyone doing a cool project with Microsoft technologies. If you’re interested, please contact me so we can set something up. Maybe you’ll even get a free lunch out of it. :) Thanks! The second episode of my Coding4Fun Show is now up on Channel 9. In this episode of the Coding4Fun Show, I interview Arian Kulp, creator of the MEF Utility Runner, a unified host for system tray utility applications. Learn a bit about MEF and how it can be leveraged to create a plugin architecture for any application, as well as how it was used to create the MEF Utility runner, and how you can write your own plugins for this application. Please note that the current version is VERY flakey and may not work at all for you. Extensions plugged into the MotionPlus will give wacky results...not supported...yet! Ok, I get about 10 emails a day on this, so I figure a status update is in order. The Wii MotionPlus extension for the Wiimote was released last week. Since then, I and others have been working to figure out how the device works. Unfortunately, it does NOT work as every other extension controller has worked up until this point, mostly due to the fact that the Wii MotionPlus accessory has an expansion port of its own so all of the other extension controllers can plug into it. In the past few days, some progress has been made thanks to the folks over at wiibrew.org, although functionality is nowhere near complete. For example, it’s currently impossible to have the Wiimote notify you when the Wii MotionPlus is inserted into the bottom of the Wiimote, like all of the other extension controllers do. The very first episode of my new Coding4Fun Show is now up on Channel 9. This is a show I plan on doing monthly, interviewing developers creating fun and interesting projects, and showcasing what they’re doing. In this first episode, I interview Andy Beaulieu and we discuss his Physics Helper for Silverlight, Blend, and Farseer. You’ll learn a bit about how he made the library, and how you can use it in your own applications for some pretty cool effects. You should see the video below if you have Silverlight installed, otherwise head over to the episode on Channel 9 to watch and download in a variety of formats for offline viewing. Have a look and let me know what you think. It’s my first time trying this out, so I’d love to hear your feedback. Thanks! 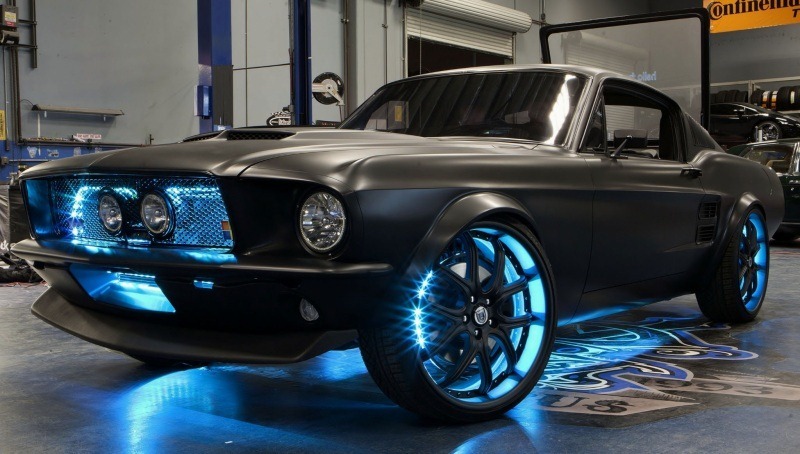 Welcome to the revolution in cloud storage…TwitterDrive! Brian and Dan on .NET Rocks! At the very last minute before Scott left for Africa, Dan Fernandez and I were able to do a quick episode of Hanselminutes to promote our book. Have a listen to learn a bit more about our book, the projects it contains, how they were developed, and some issues we ran into when trying to use some technologies in a way they weren’t intended to be used. Head over to the main site to stream the show in your browser or download in a variety of other formats. I received my first copy of the book on Friday afternoon and it looks great! It is now also listed as “In Stock” on Amazon. Additionally, there is now a Google Preview of the book If you’d like to see a preview of the book, you can do so by clicking the Google Preview link below, or navigating directly to the Google Book Search page for this book. We have also been busy updating the book’s main site, www.c4fbook.com, with source code, color images, project links, etc. It’s not complete, but we should have it wrapped up in the next few days. Abstract: This month, learn how to build an animated light show set to music, much like the famous holiday light show videos you may have seen on YouTube. This session will cover how to build the hardware, how to build the software, and how to combine them to create a synchronized musical show for your home. Hope to see you at the session! I previously talked about my WiiEarthVR project shown at PDC project, and now I have posted the article for the application up at the Coding4Fun site. Full source code is available. You’ll need some hardware to make this go, namely a Wiimote, Nunchuk, Wii Fit Balance Board and a pair of Vuzix VR920 glasses, but the hardware can be toggled on or off depending on your own setup. The VR920 glasses are pretty cool in that they also work with a variety of FPS games on your PC with a custom driver they include. Anyway, have a read and, as always, questions and comments are welcome. While at PDC2008 we shot an episode of This Week on Channel 9. If you feel the need to waste 13 minutes of your life on a PDC recap with me, Dan Fernandez, Scott Hanselman and Clint Rutkas, then this is the video for you. I have embedded the video below, but you can also click through to the main page to watch or download the video in a variety of formats. About a year ago, I wrote an application to control Virtual Earth 3D with the Wiimote named WiiEarth and a corresponding Coding4Fun articleon how it was done. Since that time VE3D has been updated several times and code changes have broken my application. Since their API is undocumented and unsupported, it was bound to happen. For PDC this year, I decided to write a new version of WiiEarth, now named WiiEarthVR, using the Wiimote and some additional hardware, namely the Wii Fit Balance Board and a pair of Vuzix VR920 glasses. Using the Balance Board, the user can shift their center of gravity (i.e. lean) and control the VE3D environment as if they were on a hovering glider. Anyone heading out to PDC2008 this year? I will be in attendance with (hopefully!) a new Wiimote project and perhaps a few old ones as well. More details on that when the project is a tiny bit further. We will also be giving away a free chapter of our new book “Coding4Fun: 10 .NET Programming Projects for Wiimote, YouTube, World of Warcraft, and More” to lucky PDC attendees at the O'Reilly booth. Abstract: Spend time with Coding4Fun authors as they walk through some DIY Development projects: TwitterVote, Wiimote, InnerTube, and BabySmash. You can add this session to your agenda by visiting the PDC site and searching for “Coding4Fun”. Now that we have finished writing the book, we finally have an official title and chapter listing. Someday we may even have a cover. I ran into a bit of weirdness yesterday when trying to install SQL Server 2008. I have Visual Studio 2008 installed as well as a couple of the Visual Studio 2008 Express products (for testing solutions for the Coding4Fun site and the upcoming book). I installed Visual Studio 2008 SP1 and all went as planned. After looking at the Help –> About screens, Visual Studio and all of the Express products showed the proper version tag: 9.030729.1 SP1. So I figured all the products were updated and good to go. I’m really cranking out the releases these days. Today I have released WiimoteLib v1.5 at CodePlex. The big news is that the Wii Fit Balance Board is now supported. The balance board is simply a very heavy piece of plastic with 4 weight sensors located at the corners. The library reads those individual sensors to determine how much weight is applied to each sensor, and the total weight applied to the entire board. You can use it as an impromptu (and very expensive) scale. In an effort to put out more frequent builds with fewer changes, I’ve released WiimoteLib v1.4 to CodePlex. This release contains the single most requested feature: multiple Wiimote support. I’m very interested to hear bug reports and suggestions on this release, so please do let me know how it works for you. The original Coding4Fun article has also been updated with some details on how to use multiple Wiimotes, as has the WiimoteTest application included with the distribution. Coding4Fun Book For Sale at Amazon! The book I am co-authoring with Dan Fernandez for O'Reilly, currently titled "10 Coding4Fun Projects with .NET for Programmers, Hobbyists, and Game Developers", is already up for sale at Amazon! My father passed away extremely unexpectedly on March 4, 2008 and life has been hectic and chaotic ever since. I'm finally back into some sort of routine, so it's time to update here and explain what's going on outside of the unpleasantness. First off, I've been contracted to co-author a book for O'Reilly (tentatively) titled Coding4Fun with Dan Fernandez from Microsoft. The book will be a compendium of 10 (give or take) projects that, as the title suggests, combine fun and coding. I'll update as we go through the process. Secondly, I'll be presenting a session titled Introduction to Microsoft Robotics Studio with Lego NXT at the Tech Valley Code Camp this Saturday, April 19th. If you're in the area, as always, stop by. It should be a fun and informative day. Update: Wow! In just over a week I reached Survey Monkey’s limit of 100 responses for the survey. I’ll be posting results soon. Thanks to everyone who took the time to give me their feedback! For those of you that use my Managed Wiimote Library (and if you’re not, why aren’t you? ), I’ve put together a very short, 3 question survey to gather some opinions on how to move forward with upcoming releases. Please take the 30 seconds to click responses to the 3 multiple choice questions and let me know how you’d like to see the library evolve. Thanks! I have updated the Managed Wiimote Library on CodePlex to version 1.2.1 by adding support for IR3 and IR4. Johnny Chung Lee added these to an older version of my library, and I've received a ton of questions about it, so the two additional IR sources are now officially supported. I have plenty more in the pipeline, so expect a much bigger release soon. In the past couple of weeks, several very interesting projects using my Managed Library for Nintendo's Wiimote have appeared. Incredible stuff. I'd also like to toot my own horn and state that, at the time of this writing, my Wiimote library is the #1 most downloaded project at CodePlex. I wish I could take credit for that, but I'm certain these talented folks and their amazing work with the library are the reason for that. As always, if anyone out there is using the library, please contact me so I can add you to the master list. Load a MIDI file and a sequence will be automatically created based on the data contained in the file. You can automatically create your own show with barely any effort at all! Load up several sequences and have them play in order to create a multi-song show! It's time for more Halloween article fun at Coding4Fun. This year I developed two applications based on movies to scare your friends. One displays the "cursed video" from The Ring at 50% transparency against the victim's display, while the other possesses Notepad to type "All work and no play makes Jack a dull boy" over and over again as in The Shining. Source and executables are provided. Prank you friends and co-workers again this year! If you visit my site, you're likely here because of an article I wrote on Microsoft's Coding4Fun site. Or perhaps someone doesn't like you and punished you with a link to my blog. Assuming the former, I am continuing to write articles on topics that are fun and/or interesting for me, but I wonder what the readers find fun and/or interesting. So, with that in mind, do you have ideas for a future article? If you have any ideas, I'd love to hear about them! Please feel free to leave ideas as a comment on this article, a post in this general forum thread (easier for discussion), or contact me directly. Coding4Fun is a Microsoft site that is geared toward development in .NET using the free Visual Studio Express products, so please keep that in mind when offering suggestions. I look forward to hearing what you readers would like to learn about. Starting with this version (v1.2), the library is licensed under the Ms-PL. This will likely change nothing for 99% of you, but be sure to read through the license before redistributing your applications compiled against this new version. The new version also includes a CHM help file for the entire API. For now, the C4F article will remain the source for the basics, and the CHM will remain up-to-date with each release of the API itself. Hopefully that will be able to provide some more detailed information than the base article, though the API itself isn't very complex. And finally, here's a list of things that changed since v1.1 . Note that this list may not be 100% complete as I was a bit lax in keeping my changes noted. As always, full source code provided. Give it a try and let me know what you think! My latest article is posted to Coding4Fun. This time, I wrote an add-in for Windows Home Server that allows one to view their email stored in Outlook via the web. Perhaps I'm the only one, but I have 6 or 7 email accounts all of which POP into Outlook. Hardly any of them support IMAP or have a webmail interface. When I'm away from home and want to check my messages, either I have to remote desktop into my home machine and use Outlook that way, or I need to remember to shut down outlook, and then check all accounts separately. With this add-in, I can now view my Outlook messages via a web browser. I'm doing something a little different with this article by offering the source code and binaries via CodePlex. My hope is that you folks out there might find a use for this and decide to extend it. Hopefully CodePlex will make that process easier. Check out the article and, as always, comments and questions welcome! Back in May, I posted about my involvement in Maker Faire 2007. For one of my projects, myself and several friends, collectively known as Ganksoft Entertainment, created a game from scratch using the Microsoft XNA Framework and Game Studio Express called Head Banger. It's a rhythm-based music game in the vein of Dance Dance Revolution (DDR) and Guitar Hero. If you are a fan of either game, or the genre in general, you'll likely enjoy what we've created. I have posted the game up to our website in both Windows and Xbox 360 flavors. Sometime soon I will be writing an article that will appear on Coding4Fun on how the game was created along with the full source code of the game. But, in the mean time, try out the game and enjoy! I have published my latest article on MSDN's Coding4Fun titled "Microsoft Robotics Studio and Lego Mindstorms NXT". This article will demonstrate how to use Microsoft Robotics Studio v1.5 to drive a robot built using Lego Mindstorms NXTwith an Xbox 360 Controller in C#, VB.NET and MSRS' included Visual Programming Language. Amazingly fantastic stuff. I've created a list of projects using the library here. If anyone out there is using my library for a project, please let me know and send me a link so I can add you to the list! My latest article has been posted at MSDN's Coding4Fun site. This article explains how to create a Wiimote Controlled Car using my Managed Library for Nintendo's Wiimote. At the end of the article, you will have a remote controlled car that can be driven with a standard Nintendo Wiimote. Also note that my original Wiimote library and article have been updated with some new features including x64 support, a potential fix for those with incompatible Bluetooth adapters/stacks, and a Microsoft Robotics Studio service. As always, comments and questions welcome. Enjoy! I've received a couple emails in the past week of people using my Managed Wiimote Library to do some spiffy things. This project was primarily created to allow the Wiimote to be used as a novel interface for a virtual environment. The goals were to create a Wiimote server, allow interaction with a virtual environment, and provide haptic as well as audio feedback. Six degrees of viewing freedom and stereo vision are provided via a Head Mounted Display and optical tracking system. Sound is provided through FMOD. Much of this project is built on top of code from the Virtual Patient Project. Evan Merz has created a virtual drum kit available at his site along with a video showing its operation. Great stuff, guys. Anyone else using my library for a project? I'd love to hear about it! Anyone heading out to Mix this year? I'll be there once again, but this time I'll be (partly) working the Coding4Fun booth. We should have a few interesting toys to entertain the masses between sessions. Stop by and throw a Wiimote at my head or something. My latest article is up on MSDN's Coding4Fun. Take a look and download a fun application to annoy your friends and co-workers on April Fools' Day. As always, questions and comments welcome. If it's a question or comment that could benefit the masses, please create a new post over on the forum and I will reply there. Update 3/17/07: A new version of the code and assembly is linked from the article below which fixes a bug with the calibration data. My latest article has been posted on MSDN's Coding4Fun. This time I have created a fully managed library to use a Nintendo Wiimote (and all current extensions) in C# or VB.NET. You will find a description of what was done, source code for the fully managed library, a test application, and compiled libraries for you to start using immediately. As always, if you have questions, problems, feature requests, etc. please contact me and let me know. If it's a question or comment that could benefit the masses, please create a new post over on the forum and I will reply there. I have been sent a second video of The King, this time singing Holiday by Green Day. I have also created a dedicated page for The King and will be updating it as more videos are created. Enjoy! Update 2/13/07: After reading this post, check out and bookmark this page for a list of all videos to date! My latest article has been posted on Coding4Fun. This time around, learn how to control a remote controlled car via an Xbox 360 controller, and add an IP camera to the car for remote operation, all using the newly-released Microsoft Robotics Studio. As with the others, I have created a forum for discussion and to answer any questions or comments you may have after reading. Enjoy! I have updated the article with some new source code and executables, and a video of the beginning of my first sequence using what I’ve built. Take a look! Update: If readers of the article/blog have questions regarding the project, please use the Contact link above or use the new Forum topic so that I can respond to you. If you have a comment which doesn’t require a response from me, please leave that comment below. I’ve received several questions over the past few days entered as anonymous comments and I have no way to respond to them without cluttering up the section below. Thanks! My latest article is now posted on MSDN's Coding4Fun website! We've all seen those animated, musical holiday light shows videos on the internet, or perhaps the beer commercial last holiday season. I set out to create my own show using off-the-shelf components and .NET . So, with one or many Phidget Interface Kits, some extension cords, and Visual C# Express 2005 or Visual Basic Express 2005, you too can create your own holiday light extravaganza! I will be contributing about one article per month. I'll post here when new articles become available. Lucky you.